Getting quality web traffic to your website or blog is a work of art and can be quite challenging. There are several tools available (paid and free). One of the effective ways to increase web traffic is through Article Marketing. In Article Marketing the author submits short, original content articles to article directories and these articles are hosted free of cost on their high volume websites. 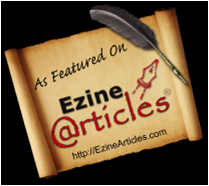 There are several article directories on the web, but the best one in terms of Alexa Rankings is EzineArticles.com. They have been around for a few years now and have built top credibility and have high Google rankings. Though Article Marketing is effective, it's not for everyone. I put together a SQUIDOO web page in which I discuss in detail its basic concept, its benefits and the top article directories. It also includes a discussion if this tool is right for you and training videos. Hope you find it useful. hey there!this is really awesome!thumbs up for your great blog!hope you can post more helpful tips on monetizing our blogsites!best regards! !